The convexity of the anterior cheekbones is maintained and the side cheekbones are contracted to create a slender, smooth contour not only on the front but also on the side. With tightening HD Cheekbones Reduction and Minimal incision, sagging of the cheeks is prevented via upward posterior fixation and malunion or chances of revision surgery. Through trapezoid osteotomy and dual rotation techniques, you can get more sophisticated and defined face line. You will have a tightening effect via skin pulling with the zygoma fixation a the same time. Since the upper part of separating point between orbital bone and cheek bone is osteotomy part, definite volume on frontal cheekbone by cutting and moving the cheekbone including the most protruded part. Minimum intraoral incision method prevents sagging cheeks and no visible scars. 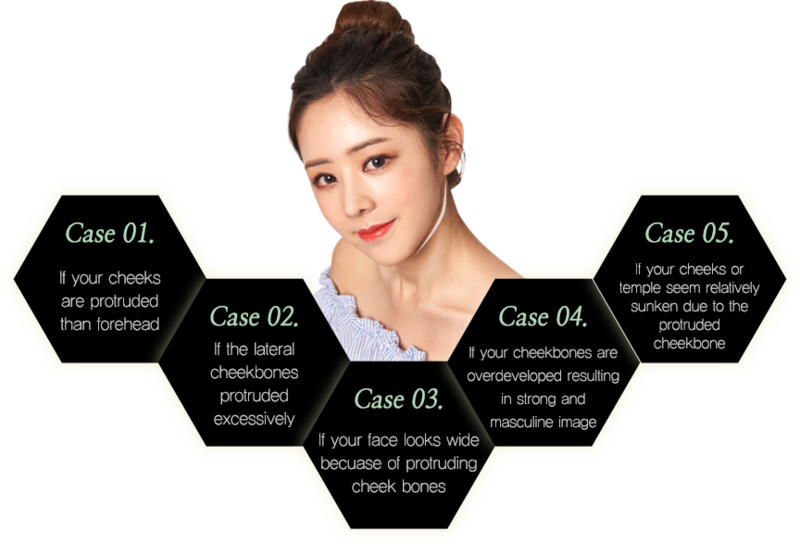 When you have a wide face with protruding cheeks, smooth and slim facial line can be created with HD ZYGOMA ROTATION method from any angles. The anterior and posterior of the cheekbones are cut, and the 45 degree cheekbones and lateral cheekbones are rearranged to be the smaller face. The most protruded parts that widens the facial width is moved to the frontal cheekbone for adding more volume. No need to worry about saggy cheeks since it’s tightly held upward. 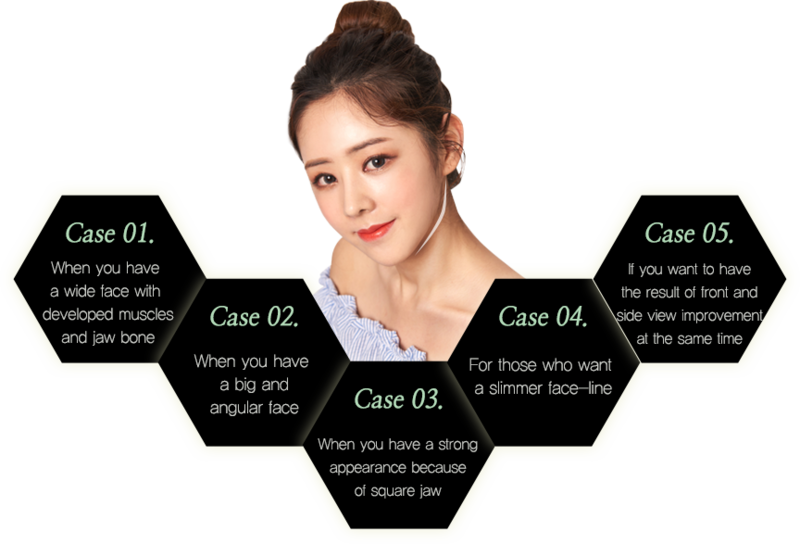 Not only reducing mandible jaw, but also removing unnecessary jaw muscles at the same time so that you can get a more refined and perfect V-line face in HYUNDAI AESTHETIC PLASTIC SURGERY. When you have an asymmetry jaw, adjust the amount of incision so that both symmetry can fit in. We make a narrower, softer, more feminine appearance by incising jaw in conjunction with reducing unnecessary fat and muscles. By reducing the thickness of the jaws, you can get beautiful line results. It is a key technology of HYUDAI AESTHETICS to make the slim fit line as slim as possible.